ATHENS (Reuters) – Greece will vaccinate its entire population of 12 million against the H1N1 swine flu pandemic which has swept around the world in weeks, killing hundreds of people, the country’s health minister said on Friday. The European Medicines Agency has begun reviewing pandemic flu vaccines under development, aiming to get them approved before the flu season starts, sometime in September. 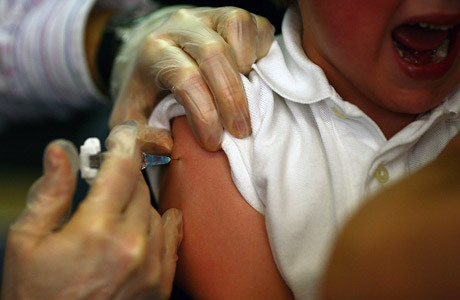 The health ministry official said children, the elderly and ailing would be the first to be vaccinated. About 800 people have died worldwide since the outbreak of the flu in April.